Employers don’t often intend to fire their employees. In fact, they often create a better working condition at the company to make sure that every employee is comfortable with their work and love their job. But, some employees are reckless, often doing just the opposite of their job description. 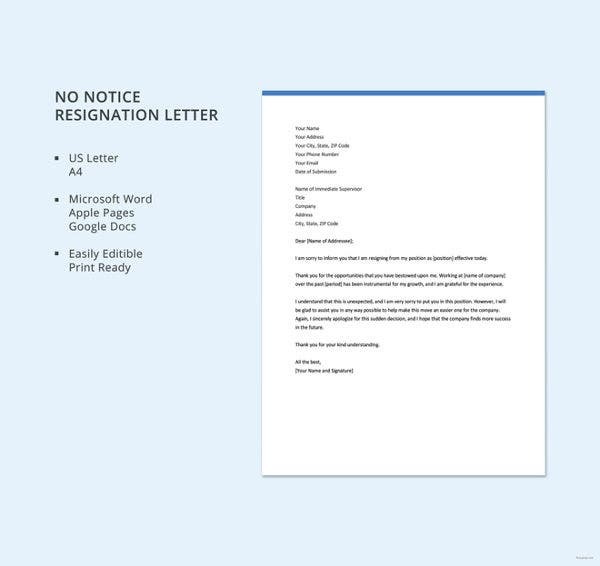 A Professional Resignation Letter Templates word is the perfect tool to use to send them home. 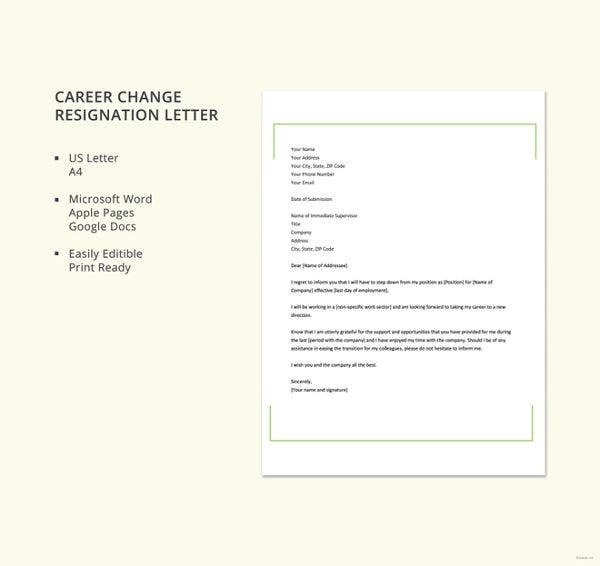 You can download resignation letter sample in excel or PDF files to remind yourself of the format if you haven’t written such a letter in a long time. 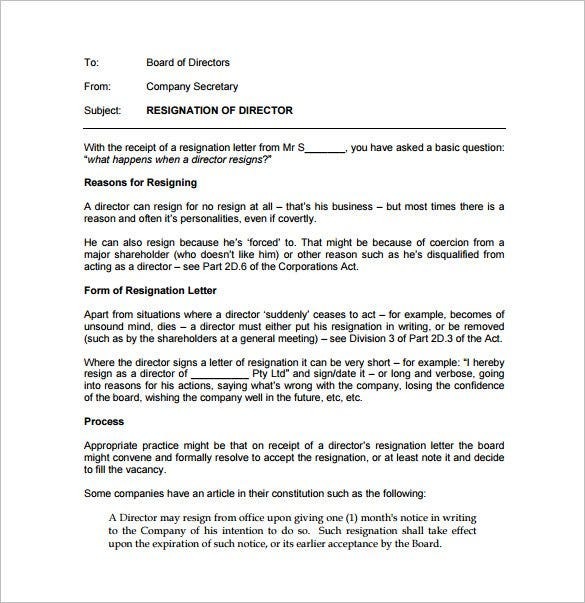 A resignation letter is a document which informs the higher authorities and the organization about the exit of an employee from the organization or institution. The structure of the resignation letter should be formal. The resignation letter should always be short, crisp and polite. The resignation letter should be polite, short and crisp. the resignation letter should always include the reason for the resignation, the last working day etc. There should not be any criticism about the higher authorities or subordinates in the letter. The letter should end with a thanking and positive note towards the higher authorities, co-employees, sub ordinates and the organization. The employee should clearly state in the resignation letter that he/she is going to exit the organization on the mentioned last working day. 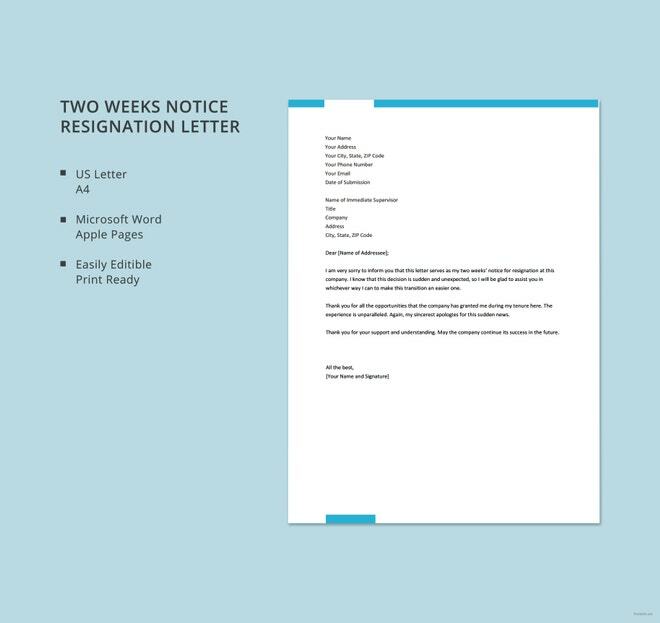 A resignation letter with a one month notice period is the best one as it allows the organization to get a replacement for the exiting employee.You may also see manager resignation letter template. 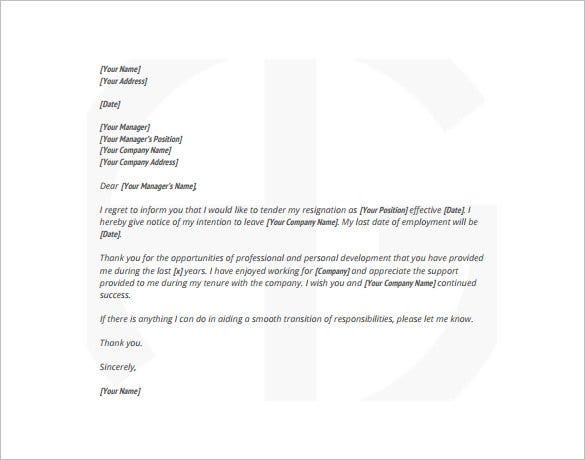 change-job | This sample resignation letter is sent by an employee to his employers, stating his intention to leave the company despite his good experience with them. He also offers his full support to the company regarding any matter needed until his formal departure. wiregrass.edu The 2 weeks resignation letter sample PDFs are available which can be submitted by the employees by making some slight modifications or entering the required fields based on the requirements. 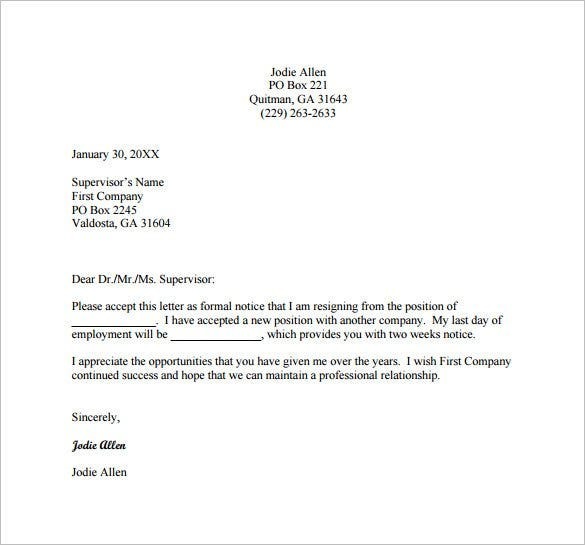 allemano.ca There are many employee resignation letter samples and templates available online. The user can download the templates and use them by entering the required fields and editing them. 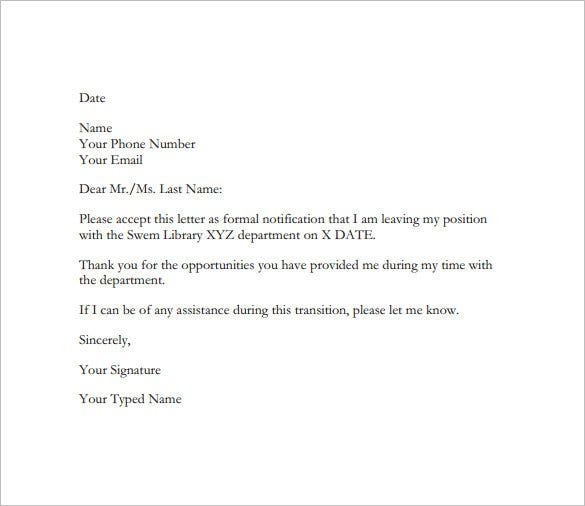 The sample resignation letters can be used to create a new one with slight modifications and according to one’s requirements. The resignation letter is an announcement by the employee to the organization about his/her exit. 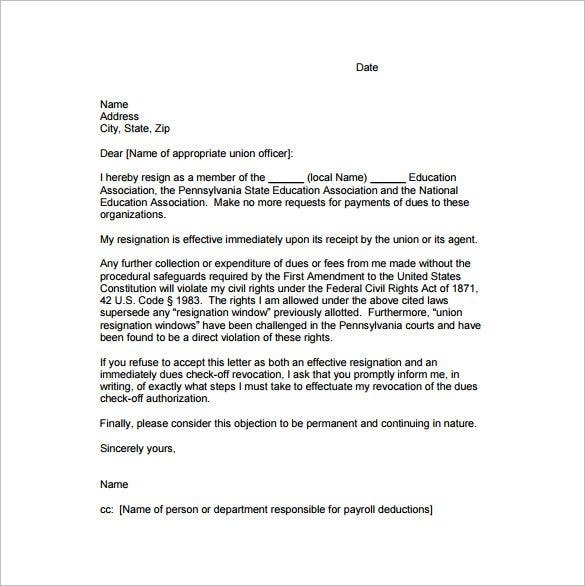 sampleandtemplate.com There are innumerable free sample relocation resignation letters PDFs available online. They can be downloaded and used as it is by filling the required fields or by making slight modifications. iasd.cc There are many resignation letter templates and formats available online. The sample teacher resignation letters to the principal can be downloaded from online and can be used. 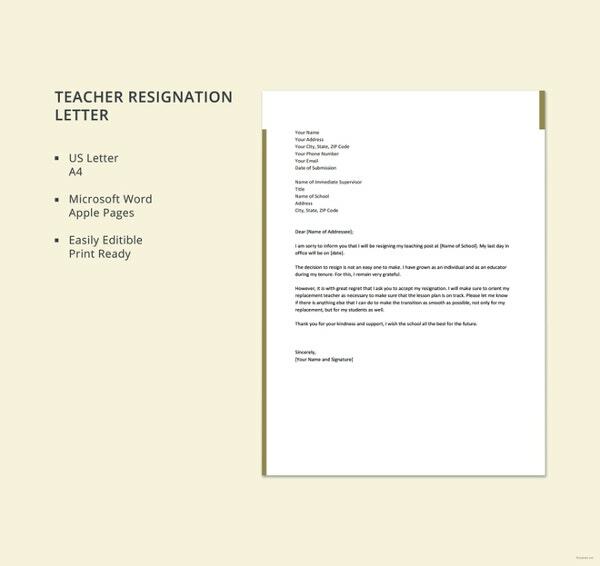 The best PDF school teacher resignation letters are available online. The exit letter to be submitted by the sports coaches can be downloaded from online and used by making the required modifications or just entering the required fields. 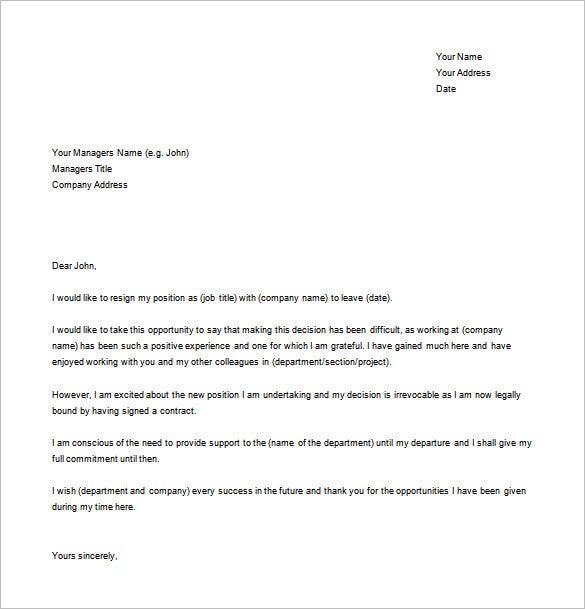 Why Do You Need a Sample of Resignation Letter Template? A resignation letter is a much needed formal document that is sent by the person leaving a position or a job. Usually, a resignation letter is the last official communication letter that takes place between an employee and the organization. Even if you are leaving a company, you need to do that in positive terms. It is regarded as highly unprofessional to stop coming to the office without any prior notice. Usually, a resignation letter is sent at least 15 days before the formal departure of the employee. During this period, the employee is expected to complete his tasks in hand, and hand over his duties to another person in the department. 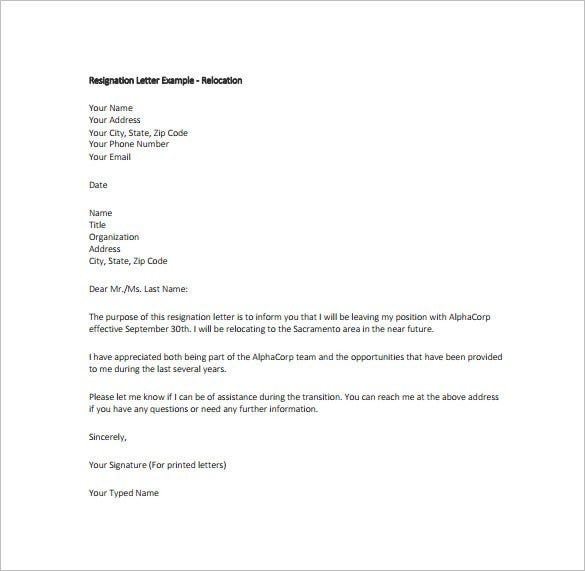 When Do You Need a Sample of Resignation Letter Template? 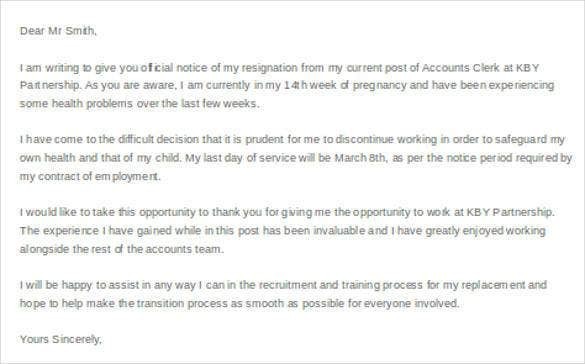 A sample resignation letter can be used by anyone who is planning to leave a job and announce his decision to his existing employer. 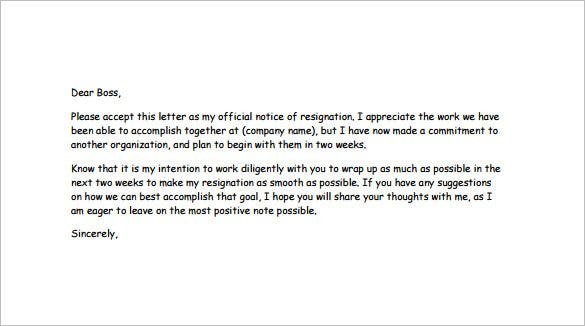 Such resignation letters are a staple for employees whenever they make a decision to leave the company. 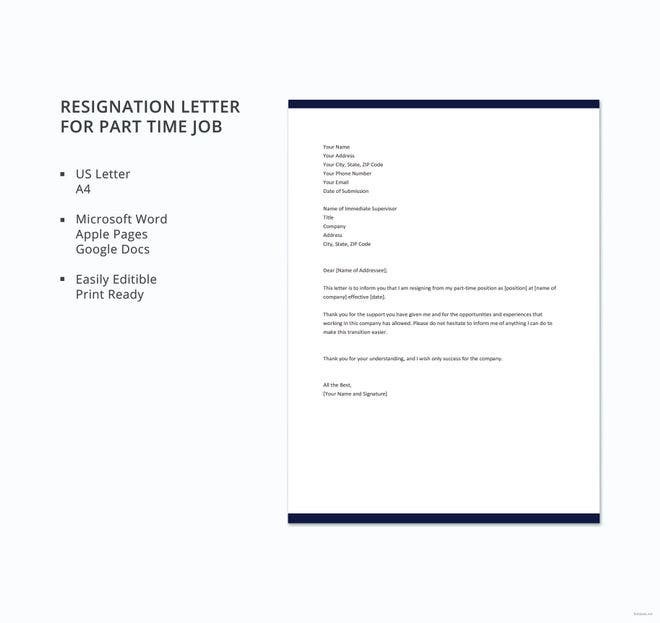 These sample resignation letters are also used by coaches when they have decided to leave a team and want to send an official letter to the students or their parents. When you leave an office, it becomes necessary to leave it on good terms and maintain your reputation even after you go. After giving your resignation letter, you stay with the company for 15-30 days, during which you complete your duties and assign your tasks to another responsible person. By doing this, you make sure that the company does not suffer after you leave. The resignation letter templates available here are professionally designed to include each and every clause of a good resignation letter. They allow you to leave the organization without leaving a bad impression. They save your time, as they serve as readymade formats to let you create your resignation letter quickly. 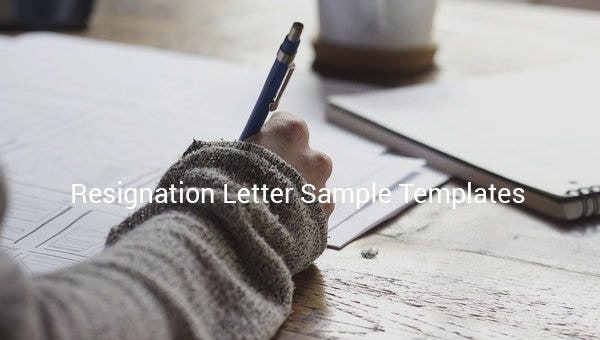 Even if you are not good in the language, you can create error-free resignation letters using these sample letter templates.